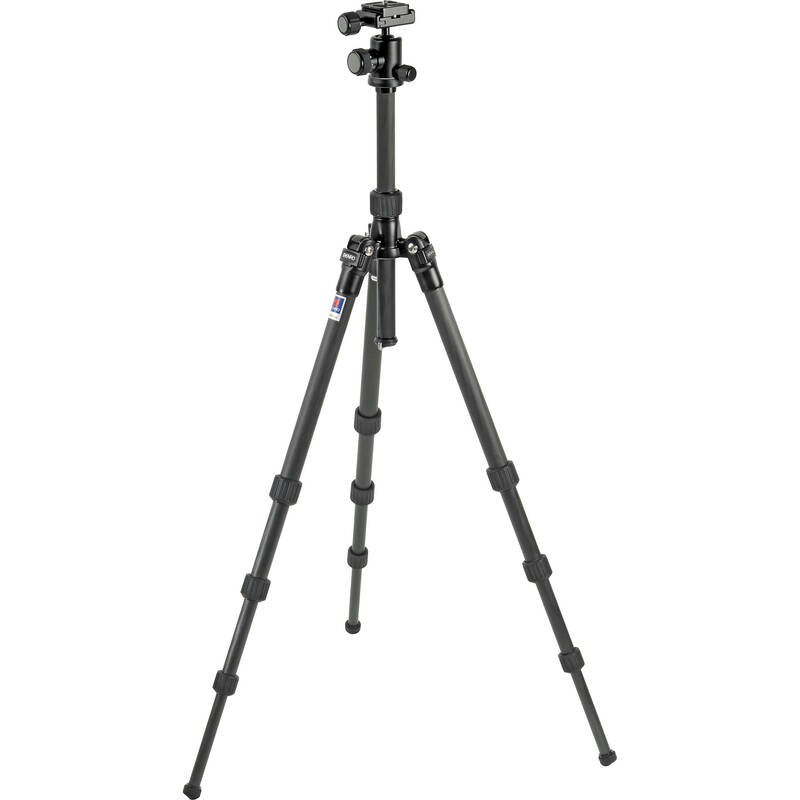 The Benro C-068M8 Travel Angel Carbon Fiber Tripod with B-00 Ballhead is a sturdy, high-quality tripod that uses 8 layer, 2nd generation carbon fiber technology for its leg construction. In addition, magnesium is used for die-cast parts. Despite its lower weight, magnesium is more rigid than aluminum, and has the same strength per volume. Travel Angel tripods are easy-to-carry so you'll want them with you at all times. Travel Angel's unique 180° foldover design allows them to be folded into a compact package that can easily fit into backpacks or luggage. However, when you need quick setup, excellent maximum height and a rigid, stable support, Benro Travel Angels are impressive performers. Travel Angel tripods feature individual leg angle adjustments, anti-rotation leg design, a reversible center column with spring loaded weight hook, anti dust and moisture rubber leg lock grips. The matching ballhead has three independent locking knobs to separately control general positioning, panning, and friction control, and is housed in a precision-machined stylish black anodized aluminum body.